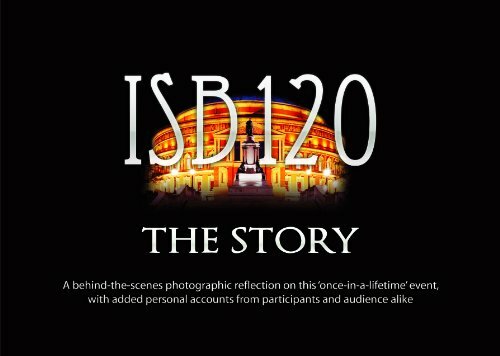 This book takes a 'behind the scenes' look at that mission-led occasion in June 2011 when all 8 Salvation Army staff bands of the world joined together to celebrate the 120th anniversary of The International Staff Band. The book reflects how the whole of the Salvation Army world became engaged and energised into creating a sense of community, goodwill and optimism by this ground-breaking event. With a foreword by General Linda Bond, and an introduction by Staff Bandmaster Dr Stephen Cobb, as well as a multitude of photographs to remind you of the unique occasion, the 256 page book contains input from a broad variety of people who witnessed the event. As well as contributions from a chosen member of each staff band, it includes relevant insight from Commissioner Betty Matear (UK with Republic of Ireland Territorial leadership), Dr Ron Holz (overseas guest), Andrew Woodhouse (former International Staff Bandsman), Dudley Bright (composer), Sue Blyth (music leader at Westminster Central Hall), Philip Biggs (Cadogan Hall and Royal Albert Hall audience member), Major Paul Johnson (a view from The Mall) and Glen Little (a Salvationist and Scots Guardsman, on duty in the Buckingham Palace forecourt).